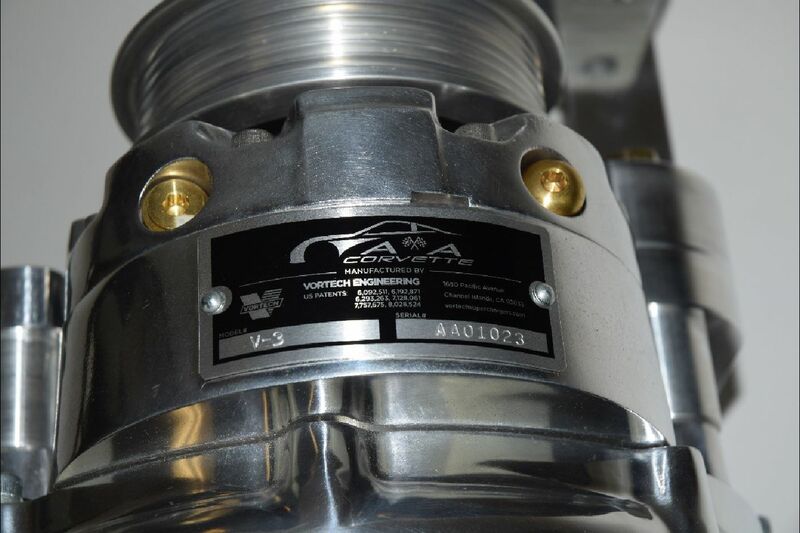 A&A Supercharger Systems are unsurpassed in versatility and quality. 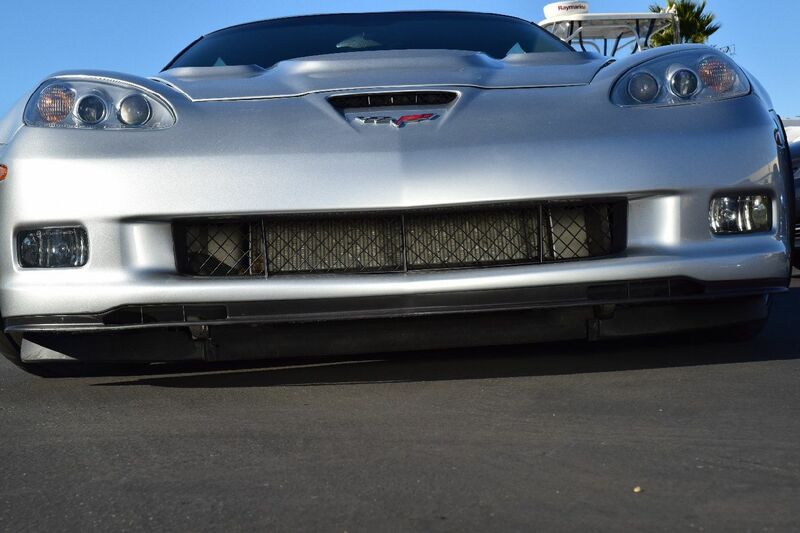 From a 550 HORSEPOWER Emissions Compliant daily driver to a 1200 HORSEPOWER race car, we have the system for your C6 Corvette. Look at all the features that only A&A Superchargers have to offer. It’s an impressive list. For the past 15 years, we have strived to build the absolute best supercharger system available for your late model Corvette. Innovation after innovation have been designed, tested and implemented into our systems. 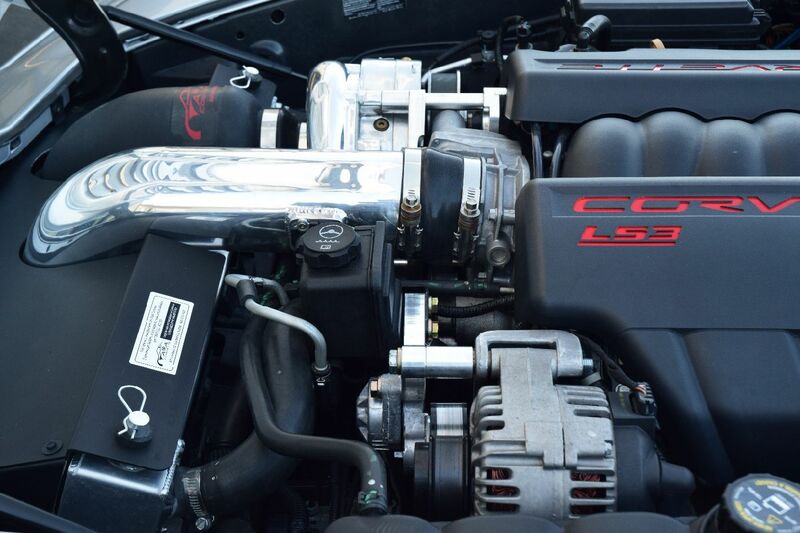 Our C6 supercharger systems have benefitted from all the innovations implemented in our C5 and C7 research and development. Each time we found a way to improve the C5 or C7 systems, we went to C6 and did the same. The other guys just sat back and said “Our C6 systems are good enough” and have not updated their C6 systems in years. 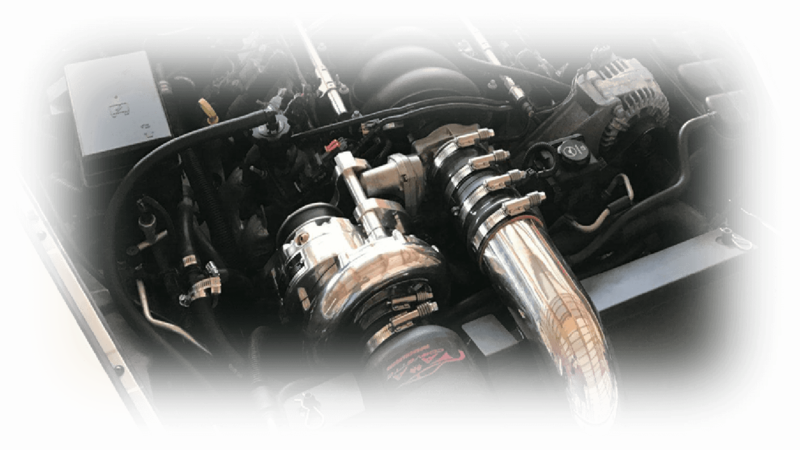 As with C5 and C7 we offer 50 State Legal (CARB EO# D-707) systems all the way up to 1000 RWHP race only kits. We also carry a full line of injectors, fuel systems, pulleys, belts, radiators and individual components you need to accomplish your goals. 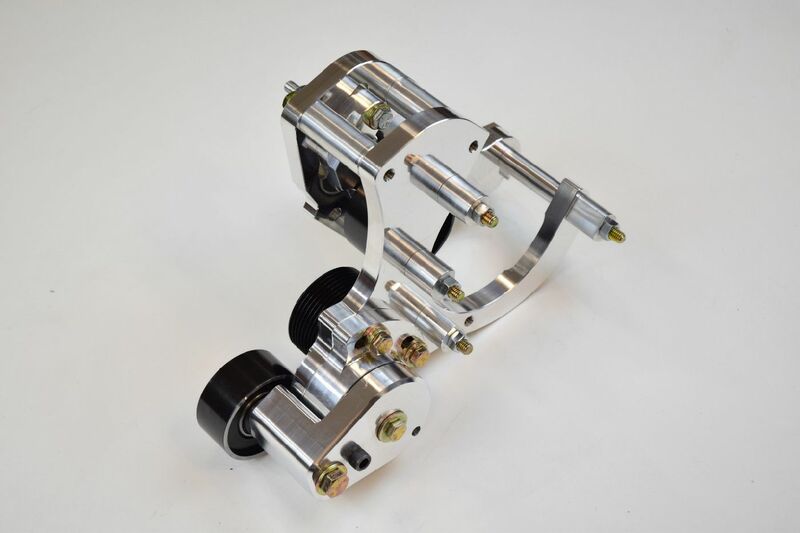 ADJUSTABLE BILLET TENSIONER: Our supercharger systems feature a solid billet belt tensioner like nothing else on the market. Designed and built in house, it is a formidable piece. It features precision bearings, a chromoly internal shaft, 3 internal spring settings and an optional spring for ultra-high horsepower applications. The entire assembly can be “clocked” to clear oversize balancers. A lockout mechanism allows the tensioner to be locked in the open position for easier belt changes. Each tensioner is hand assembled and checked for bearing clearance and spring tension. You won’t see anything even close on other systems. BILLET TENSIONER WITH INTERNAL SPRING SETTINGS AND LOCKOUT MECHANISM. ABSOLUTELY NOTHING ON THE MARKET IS EVEN CLOSE! MOUNTING BRACKETS: Our mounting brackets have been described by more than one customer as “jewelry”. 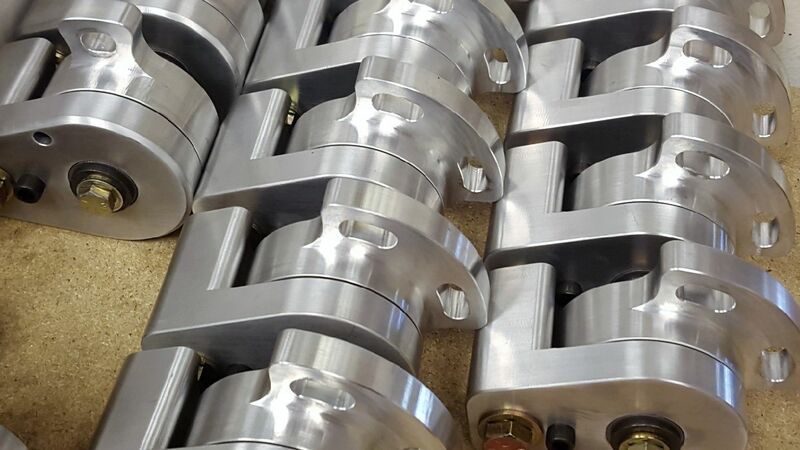 Every bracket is CNC machined on both sides to assure absolute flatness and to keep tolerances as tight as possible. We use steel pulleys with dual bearings and stainless or aluminum stantions for proper bearing support. We continually pull random brackets and laser test them on our mock up motor to assure accuracy. Both are time-consuming steps that the others just don’t bother with. 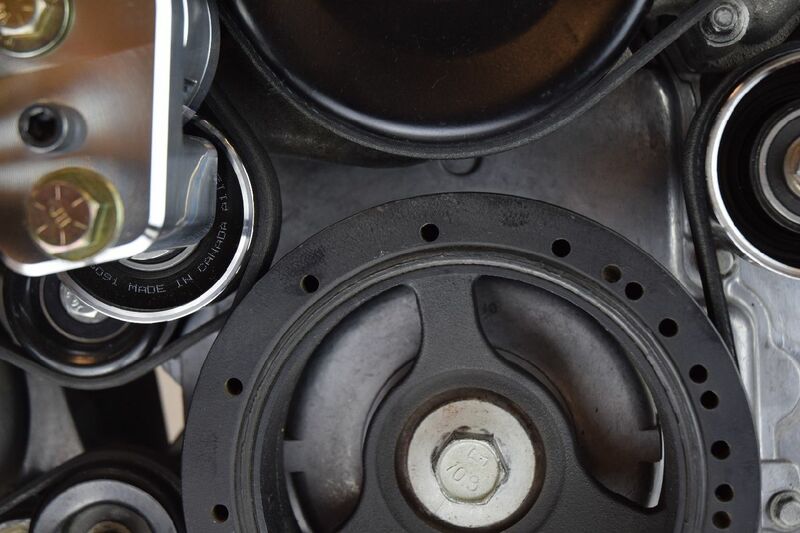 The bracket and tensioner offer maximum belt wrap on both the supercharger and crankshaft, eliminating belt slip. Nothing will take the fun out of any supercharged car faster that being plagued with belt issues. We build the strongest and most adjustable belt drive system available. 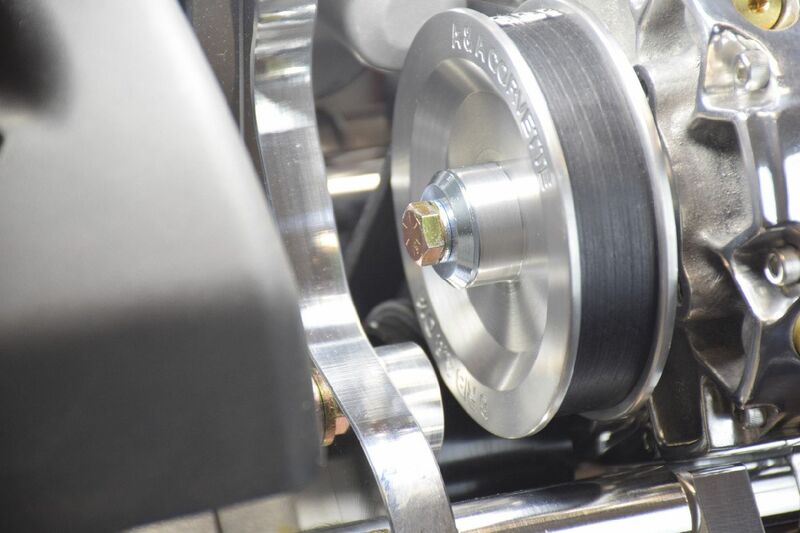 The same bracket and tensioner can be used on a 500 RWHP daily driver or a 1000 RWHP by simply adjusting the spring pressure and will accept 6 or 8 rib drive belts without modification. The YSi is the KING of this family of blowers. When combined with a properly built engine, 8 or 10 rib belt drive and one of our dual pump fuel systems, the YSi is capable of over 1000 REAR WHEEL HORSEPOWER in a late model Corvette. RAM AIR INTERCOOLER DESIGN: The second most important component of a successful supercharger design is airflow management. Air will always take the course of least resistance and must be “forced” to go where needed. Smoke generator testing showed a significant amount of the air literally bounced off the front of the intercooler and just rolled over the edge. It was this revelation that caused us to find a way to capture as much of the frontal airflow as possible and force it through the intercooler. 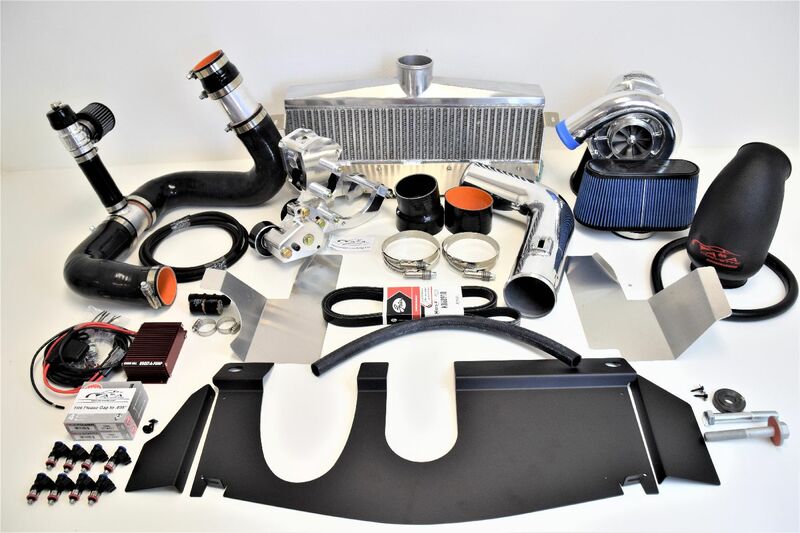 Our Ram Air Intercooler with CNC laser cut aluminum panels to direct airflow through both the intercooler and radiator are features that only A&A incorporates into every system. 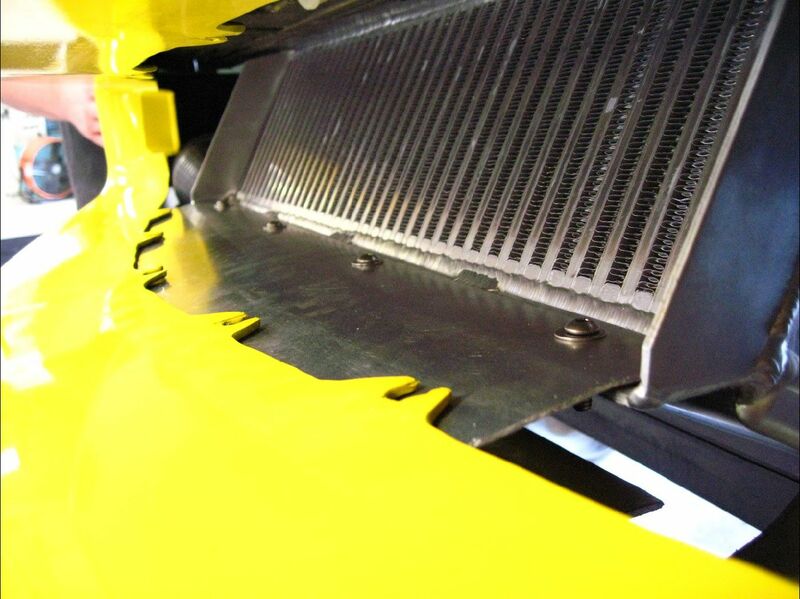 We offer the only intercooler where 100% of the core is exposed to frontal airflow. 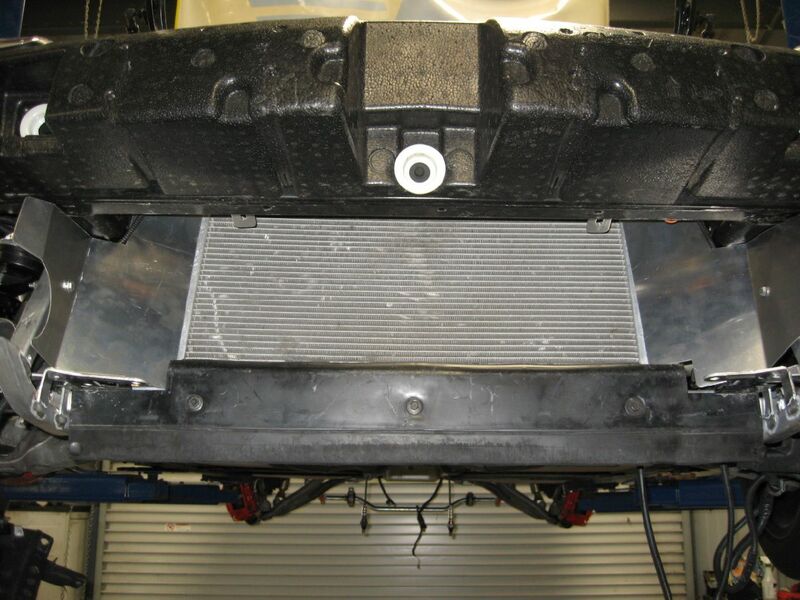 We also have the largest gap between the radiator and intercooler which is essential to proper engine cooling. The top of the core is flush with the front frame cross member which stops any air escaping over the top of the intercooler. The “duckbill” located at the bottom of the core interfaces with the front fascia, stopping any airflow from going underneath the intercooler core. The duckbill is bent at a different angle to fit the standard C6 and Z06 style fascia. We go one step further and weld side panels on the intercooler to stop air from rolling over the sides of the core. Just sticking an intercooler up front without regard to proper airflow management just doesn’t work. ENGINE COOLING: Engine cooling is also a major consideration overlooked by other manufacturers. 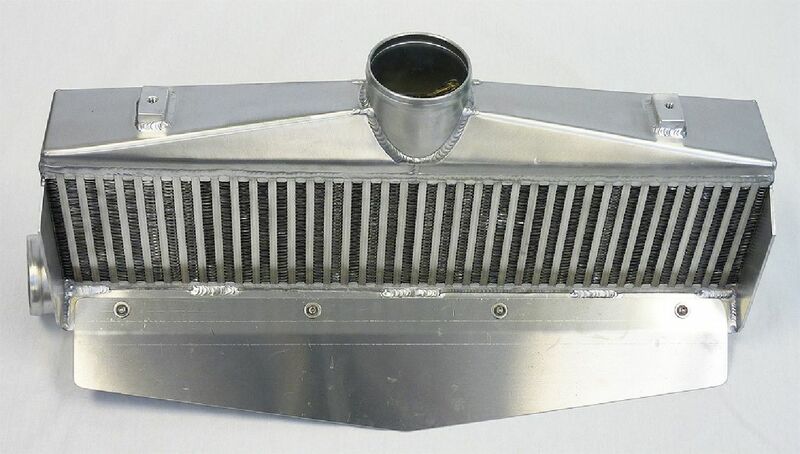 We utilize laser cut, CNC bent aluminum panels to capture air that would otherwise be lost into the fenderwells and around the sides of the radiator and force it back into the radiator and AC condenser. These panels are exclusive to A&A Corvette! We also offer our proprietary 3” thick radiators for additional cooling capacity. LASER CUT PANELS ENCLOSE THE RADIATOR CAVITY FOR IMPROVED COOLING- AN A&A EXCLUSIVE! PLANNING A BUILD? LET US HELP! While we do have online ordering, we would ask that you please contact us directly for supercharger orders. Our standard configuration is 100% complete and optimized for basically stock vehicles. 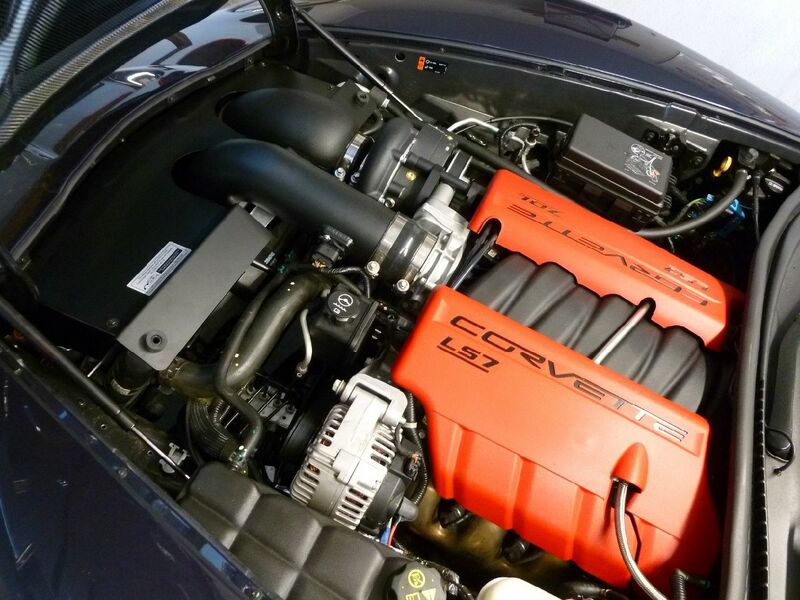 We’ve done a lot of testing and know what will make great power and remain reliable for your Corvette. No upgrades are required although there are options available for those looking to push the envelope. We believe it is important to speak directly to the customer and make sure they are ordering the right combination for their vehicle and goals. We really are here to help you get the most out of your car. Remember, generally speaking, too big is worse than too small when it comes horsepower. For generations, guys including myself, have been misled into installing cams, intake manifolds, carburetors, headers, and now superchargers that were entirely too big for the application. Let us help you with a plan that works for your daily driver or 1000 horsepower drag racer! Have questions? Call us! We’re here to help. Have a big build going on? Call us, we’d love to hear about it! Just want to talk cars? Call us. We’re car guys through and through. Have questions after hours? Call us. We try to be available in the evenings and weekends for tech support as well as general questions. The standard configuration is a V2 or V3 Si head unit, polished finish, 60# injectors and the 38MM blow off valve. Ti HEAD UNIT- N/C Best for slightly modified engines - mild camshafts, headers, Methanol injection etc. OPTIONAL BELT DRIVE SYSTEMS: These upgrades are NOT needed for street applications. The provided belt drive system is more than sufficient for all but the most radical racing setups. 8 RIB SYSTEM- This system changes all the pulleys from 6 rib to 8 rib. As with the standard drive system, all the supercharger and accessories will run on the same belt. Includes 8 rib belt, SFI spec balancer (10% overdrive), alternator, power steering, idler and supercharger pulleys $900 (discounted price only applies when purchased with supercharger system).